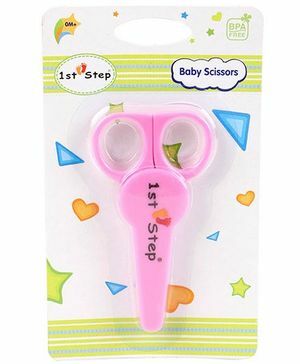 1st Step scissors is ergonomically designed with round edge handle. It is easy and convenient to use. It's round tips provide safety to little hands. The protective cover helps to prevent damage while cutting.